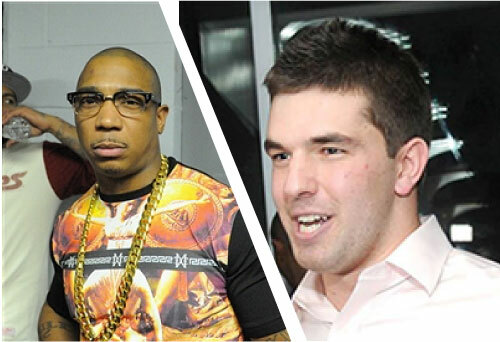 Leaked Fyre Festival documents reveal "logistical nightmare"
This can't be good for Fyre Media co-founders Billy McFarland and Ja Rule: leaked emails and documents show that organizers were not only grossly incompetent, they didn't seem to particularly care that the Fyre Festival was doomed. In an urgent April 3 email with the subject line, "RED FLAG- BATHROOMS/ SHOWER SHIPPING," a mid-level Fyre Festival worker alerted senior staff, including 25-year-old co-founder Billy McFarland and Fyre Media president Conall Arora, of a growing crisis: the unexpectedly high costs (estimated to be at least $400,000) of shipping enough toilets and showers to the Bahamas to accommodate an anticipated 2,500 people on the island. This followed the news that its caterer, Starr Catering Group, had just pulled out of the festival. Those two events prompted one assistant on the email thread to joke, "No one is eating so therefore no ones pooping." But there was one problem with Weinstein's plan: Those luxury villas — which Fyre Media marketed on its website and sold for thousands of dollars to attendees — don't seem to have existed. Two days later, on April 22, Weinstein sent an email to staff strongly suggesting a campaign begin to reach out to the influencers planning to attend — and prepare them for seriously reduced accommodations. "It is my opinion based on conversations with influencers, that the majority of them are not going to receive what they were promised," Weinstein said in a note urging Fyre staff to be more transparent. "In speaking to even low level influencers, it was clear they expected their own rooms at private villas on the beach. Of course, these villas don't exist." After reading this, it's clear that the only way McFarland could avoid being sent to prison is if Trump appoints him to Secretary of HUD.